THE DAY HAS COME....our engagement pictures are here! I don't usually post much about my personal life on social media or my blog but as most of you know I got engaged on November 24th, 2017 and my NOW fiancé Derek, proposed at the cutest Christmas light event in Arlington. It came as a complete surprise!! He was acting strange ALL day but I couldn't quite connect the dots on what was getting to him. Little did I know...he was nervously waiting all day and after our dinner at the Christmas light market to propose. He kept fidgeting with his jacket pocket and it's funny because looking back I know its because the ring was literally dangling in his front pocket! The proposal was such a sweet moment and such an unforgettable night. We've been anxiously planning our wedding in Myrtle Beach and I can't wait to see what the future brings for us! 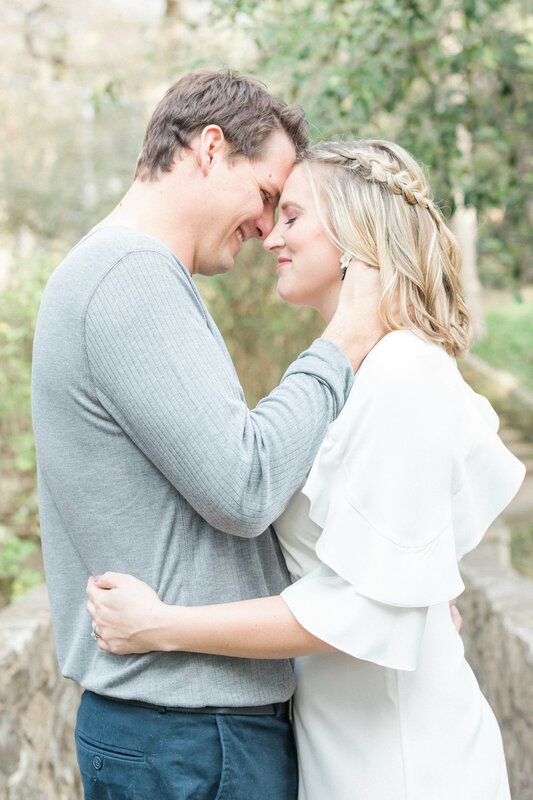 In saying all this, I'm more than happy to share our engagement photos from the amazing Carolina Goodwin Photography (@carolinagoodwin) shot at Prather Park in Dallas. Earrings: Hey Girl Earring Co.